We have a range of props for sale at The Centre including blocks, belts, mats, bolsters and eye-pillows. Summer is on the way and a brand new line of Pune-style bloomers have just landed at Marrickville Yoga Centre. 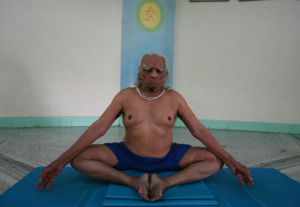 They are a distinctive Iyengar-style short so popular with men and women at the Ramamani Iyengar Memorial Yoga Institute in India.You may have also seen them in action on some of teachers and students at The Centre. Bloomers are a practical, comfortable, and affordable option for yoga practice especially in the hotter months – not to mention so bloomin’ on-trend it’s not even funny! Check out some of these great shots of B.K.S. 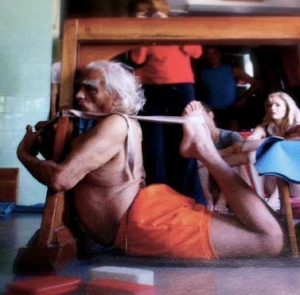 Iyengar at the RIMYII in his bloomers, and don’t miss our top 5 reasons to love bloomers this summer.Available in small, medium and large. Unlike tights or Lycra, bloomers do not restrict movement – the skin can move freely and the body can breathe. Such a lovely experience to feel a cool breeze tickle the backs of the knees in Sirsasana – helps you stay just that little bit longer! In bloomers you can see the legs, so it’s possible to deepen your understanding of asanas. 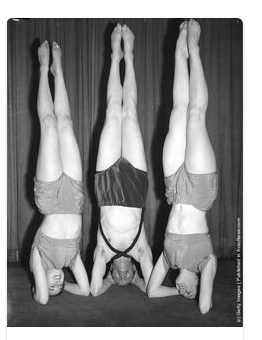 When practicing inversions you can see your legs in space; in standing poses you get a new sense of the ways the different parts of the legs need to work. It’s also important your teacher can see your legs, to help you deepen your awareness of your practice in terms of precision and alignment. Some of us are hesitant about bloomers because we feel self-conscious about wearing short-shorts. 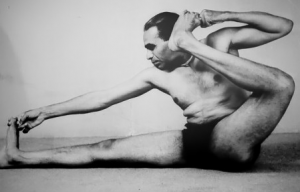 Once you get over this initial hurdle though, you’ll find bloomers actually help decrease your self-consciousness during practice and give you more freedom to explore poses. You can’t ever fall out of your bloomers, nor will your t-shirt ever slip out once it’s tucked in. Bloomers help practitioners maintain the highest degree of modesty because they won’t ever split, fall down, gape open, get twisted, or get stuck. Need one more reason to switch to bloomers? So. Darn. Comfy. They’re nice and roomy and cool to wear, have elasticated waist and leg cuffs, and come in a range of cracker designs such as stars, flowers, stripes, swirls and checks. There are also less flamboyant, single colour designs, and best of all these bloomers are handmade using highly sustainable materials right here in the heart of Sydney’s Inner West. Check out our website for more information or pop into the Centre to try on a pair. And stay tuned for our very first ‘Bloomin’ Snappy’ competition – you’ll send us your best yoga snaps of bloomers in action for the chance to win a brand spanking new pair. Please note if purchasing bloomers send an email to confirm address , size and print.